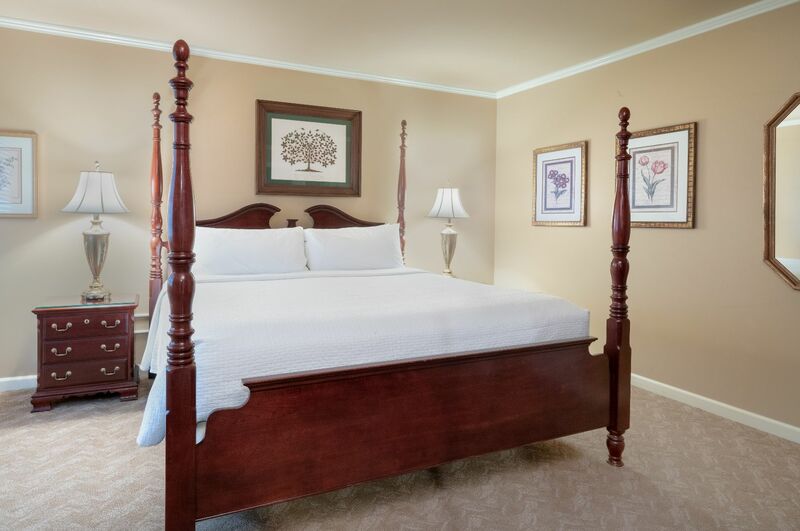 Your room at Pine Barn Inn is your home away from home. After a day of taking in the spectacular scenery, relax in your well-appointed room or suite. 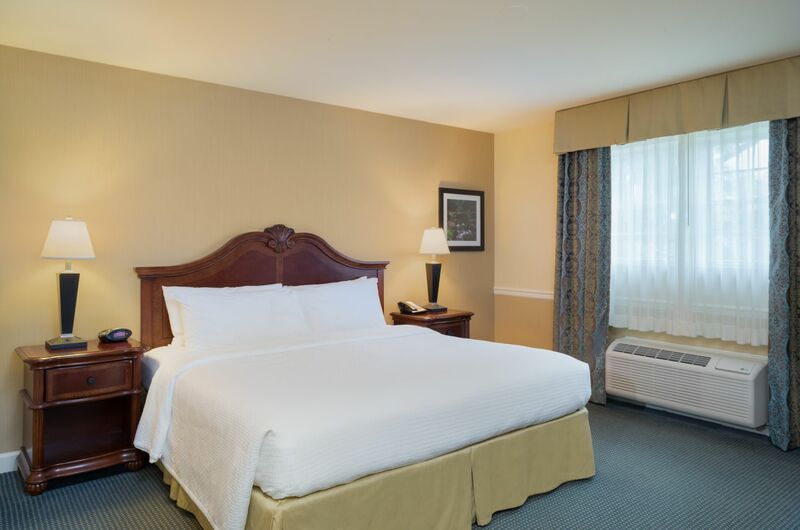 Our Danville hotel rooms boast modern amenities, including a 32” flat-screen TV, mini-fridge, free Wi-Fi, and more. We are your rustic chic hotel set in nature, that also puts you close to local activities like Knoebels Amusement Park. 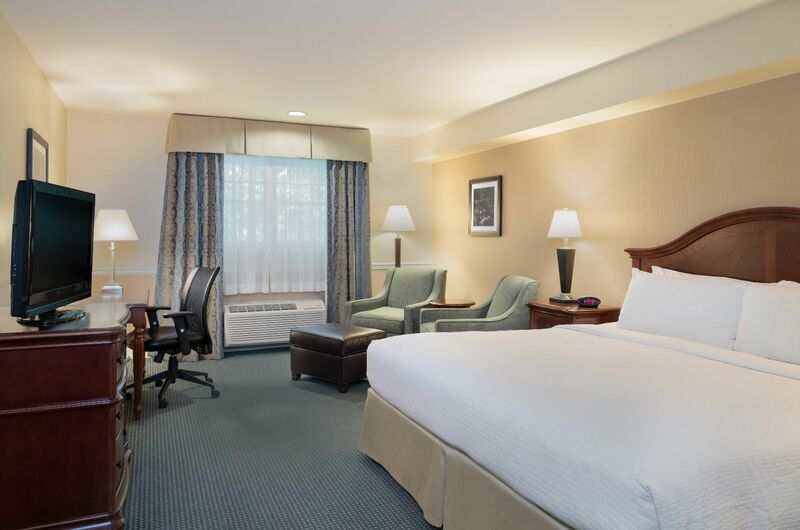 Experience an extra level of comfort in our smoke-free one king bed room. 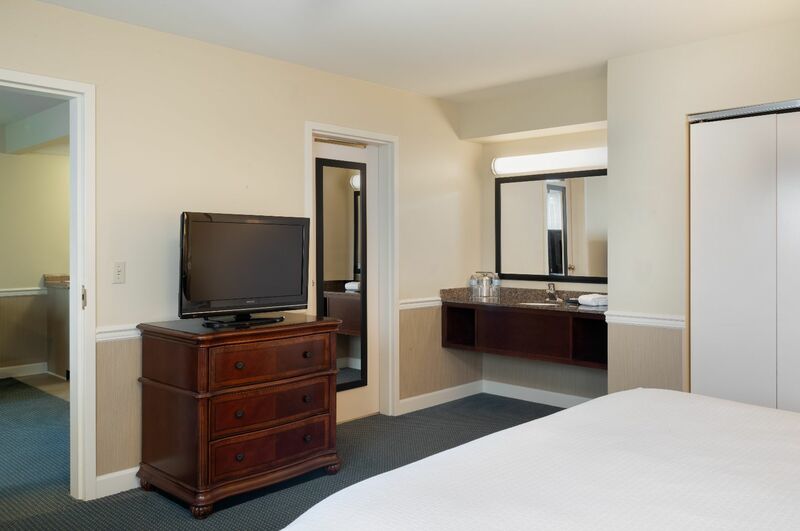 A 32” flat-screen TV, mini-fridge, and free Wi-Fi are among your in-room conveniences. All king bed rooms feature interior entrances for added privacy. Our one queen bed room is the cozy choice for couples and the sensible choice for those traveling solo or on business. You'll love the in-room amenities and direct access to the exterior where you can breathe the fresh Appalachian air. 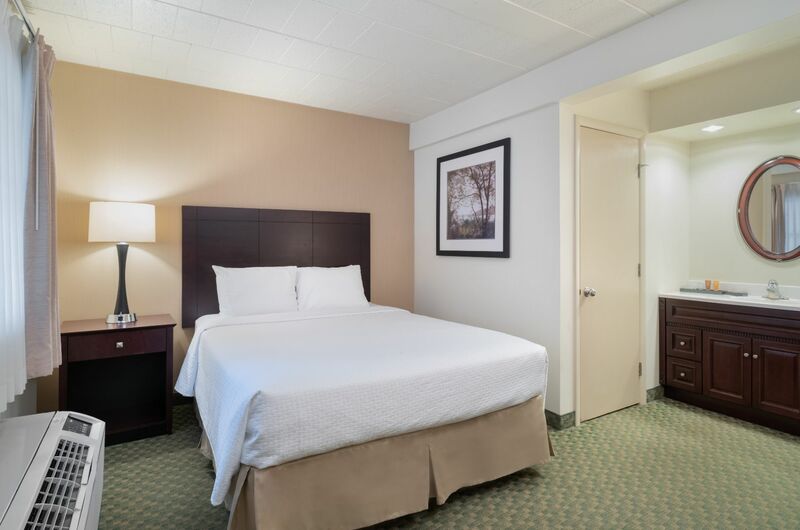 Families who are here to hike the trails or visit famous Knoebels Amusement Park find our room with two double beds just right. The in-room microwave, coffeemaker, and free Wi-Fi means you have everything you need to get ready for a day of sightseeing. Families and groups traveling together get a little more room here with two queen beds. 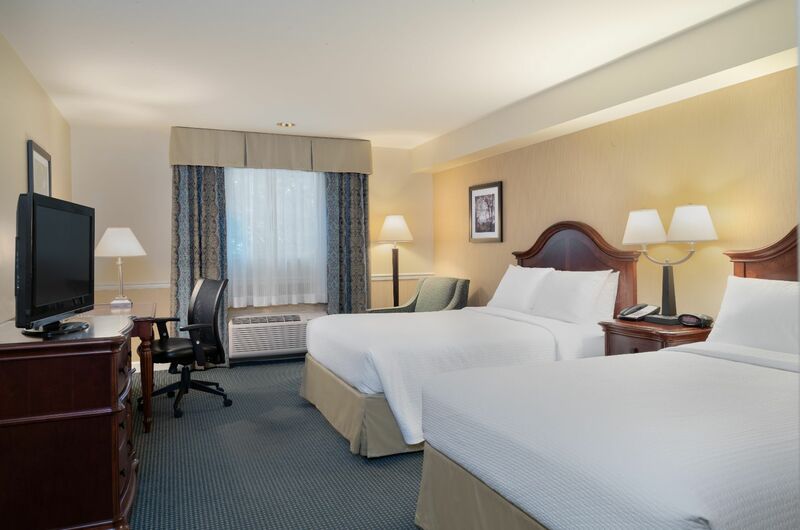 The spacious queen beds ensure you get a restful night’s sleep and the amenities, including mini-fridge, microwave, and Wi-Fi, help make your stay like being at home. This beautiful king suite comes with a plush bed and separate living area with a sleeper sofa. Enjoy your 32" flat-screen TV featuring premium channels or take a soothing bath in your updated Pine Barn Inn bathroom. The Premier Suite is the perfect choice for families, individuals, or business travelers who expect the best from their Danville hotel room. You'll love the finer touches of a California King bed, separate living space, kitchenette, and heated bathroom floor. In non consectetur metus. Vivamus in placerat turpis. Praesent consectetur, dolor tincidunt eleifend feugiate itae risus. The rooms and suites at Pine Barn Inn offer impressive amenities designed for your comfort and convenience.